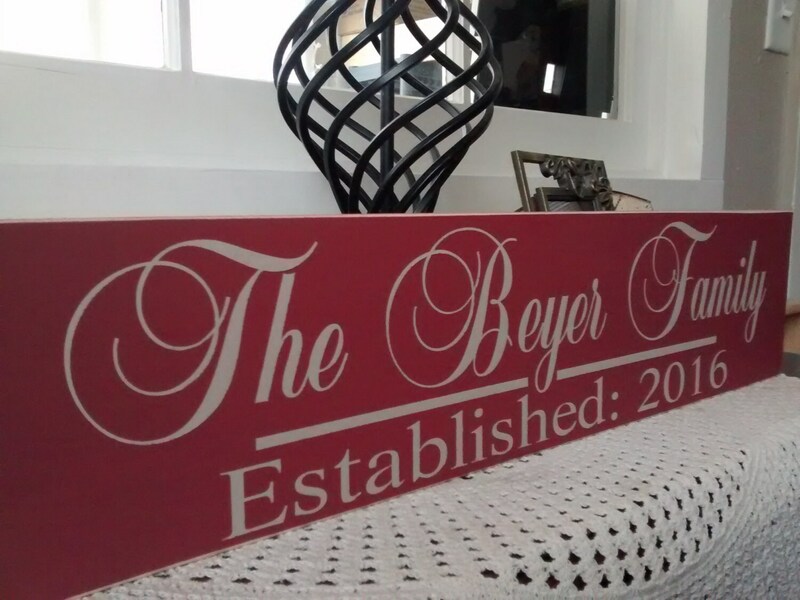 Our Family Established sign can be personalized, add a last name and established date for a memorable wedding or anniversary gift, it will be treasured for years to come. 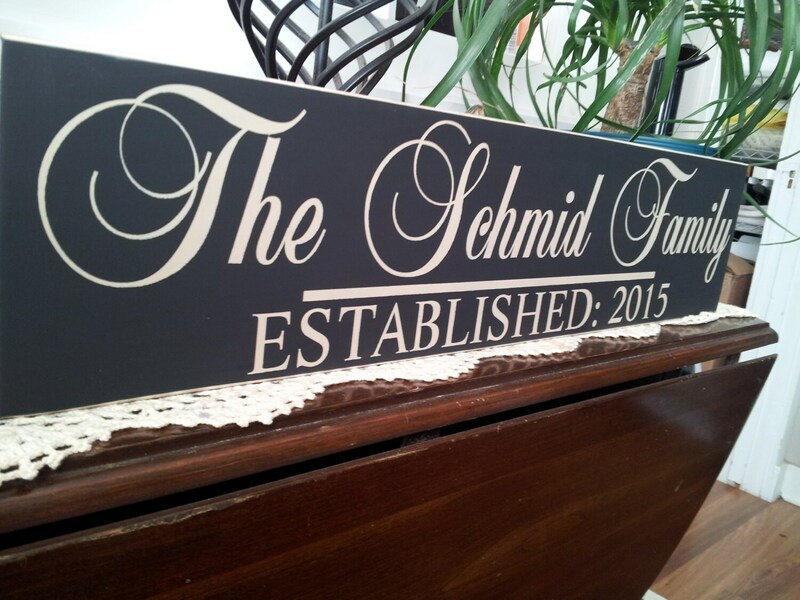 size approximately 24" x 5.5" x 1"
Please specify Name and date established in comment box when ordering. This is one of our best sellers, it makes a great gift or a special treat for yourself. I have a picture wall with this sign surrounded by our family pictures. 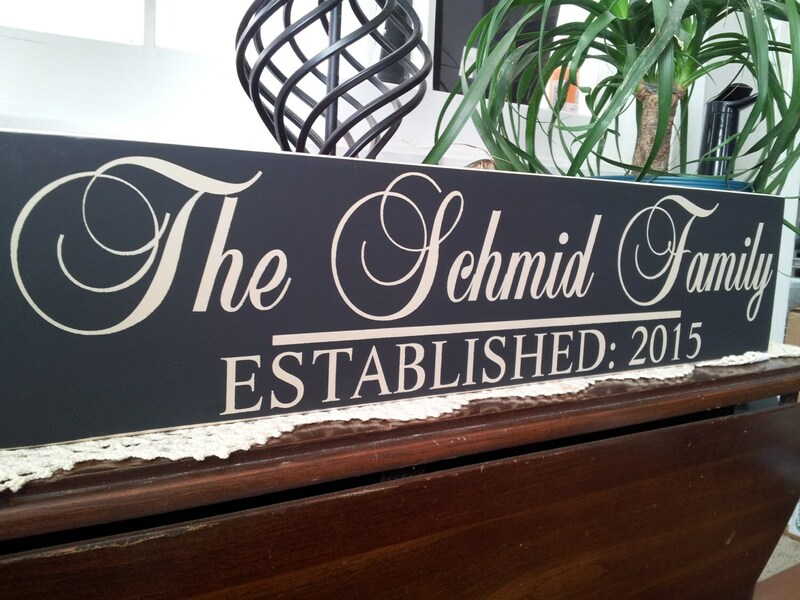 This makes the perfect personalized wedding or Anniversary gift that can be used year round. 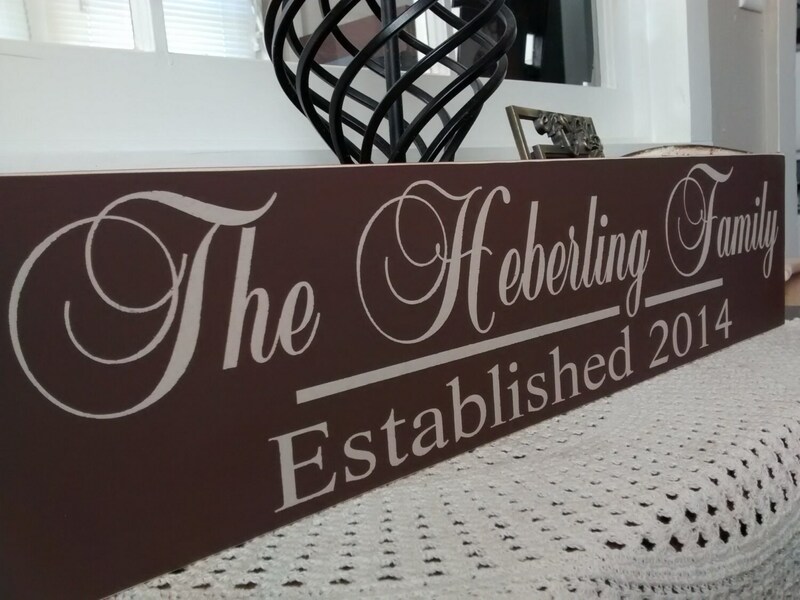 We do not paint the back of our signs, it saves time and money and those savings are passed onto you. 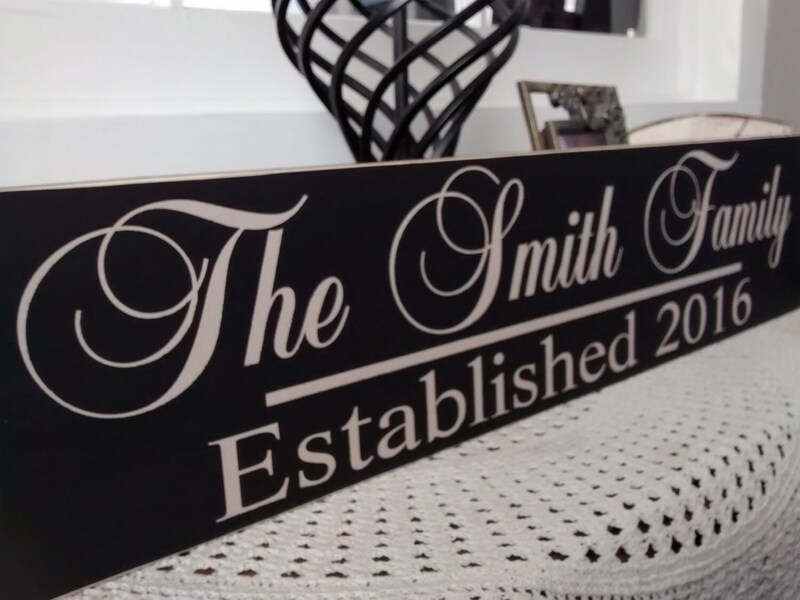 Our signs are hand made out of solid wood, hand painted we do not use vinyl lettering, each sign has a saw tooth hook for easy hanging. Order one for yourself, one for your parents and one for your in laws each additional item ships for $3.25 each. Thanks for stopping by and have a blessed day.